As the current Alphabet Wizard, Caitlin at Happy Hootenany won the choice of the letter for Today's Alphabet Soup game. Since there hasn't been a selection at the time of this writing, however, I'm just going to work with the Letter C, as that is the initial of her name. C is for Cinema - Unscramble the following Cinematic terms that start with Letter C. The first commenter who correctly unscrambles all or most of these cinematic terms, at best, wins this week's Alphabet Soup game. Answers and the name of the winner will be posted here at the A to Z blog during next week's "Friday Fun Time - Alphabet Remix." Do you Hate Google Word Verification as much as I do? January next year, I would have blogged for 5 years at Amlokiblogs. I'm not the most disciplined of bloggers, I post when the mood takes me, I return comments as much as I can, I browse through blogs I follow. I'm mostly content. But recently, one thing has begun to get my goat: Google Word Verification. I read a post that is intriguing, and I have something to say. It takes me a minute to type my comment, look at it again to ensure I haven't made any gaffes, and then I hit publish. Which is when I see the blurry dancing letters of google verification, jostling each other as if in a mad rush to get on that last airship leaving the planet. Approaching middle age, my vision is trying to decide which way to go downhill. So I pore and squint, dance my head about for better perspective, and finally I think I've got it: the magic code, the mantra of numbers and words. I type it in. No joy. The word you typed in does not match..blah blah. Refresh, repeat, curse colorfully in all the languages I speak, tell myself to keep calm, persist. 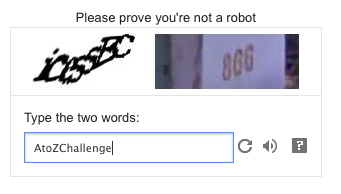 By the time I leave the blog I want to curse Blogger, Word Verification, the poor blogger. Why the hell can Google not make it a little easier on my poor eyes? Why can the blogger not have Comment Moderation enabled instead of Word Verification? 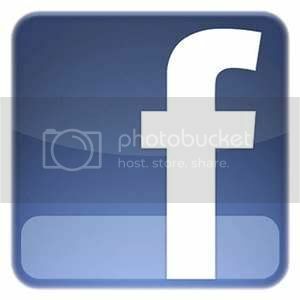 Why should I be required to jump through hoops to post a measly comment? When I hosted the A to Z Challenge last year, I posted a message the first time requesting the participant to remove WV. The next time, if they still had it on, I skipped the blog. But as a visitor, I think it would be rude of me to do the 'pointing out' to a blogger I'm possibly visiting for the first time. So. Deep Breath. Onward and forward I go, trying to prove I'm not a robot, making my eyes go blind that much faster. Do any of you feel this way? Any words of advice? First, I apologize for dropping the ball on our regularly scheduled Friday Fun Time program. 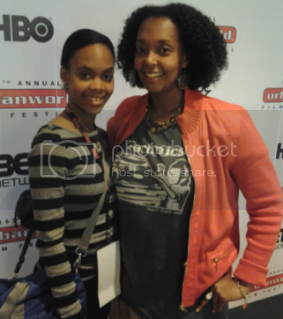 This post comes a day late because I forgot to write one this week and didn't realize it until last night, as I was at an AMC movie theater in New York, watching "The Girl is In Trouble," starring actor Columbus Short and produced by independent film director, Spike Lee. You see, that's just it -- Letter N is for News today and I'm showing you guys one photo featuring a letter that describes one of the characteristics of news, whether it be on TV, radio or in print. That thing is: URGENCY! More importantly, the urgency of me getting "Letter Play" up to date coincides with other writing duties -- duties related to my field of interest. 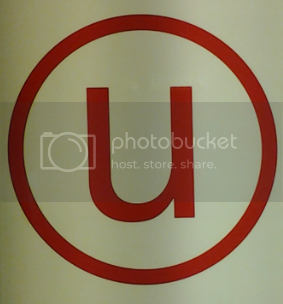 Right now (read: this weekend), nothing is more Urgent than the 2012 Urbanworld Film Festival. Well, that AND me moving forward with the production of my short film due out later this Fall. 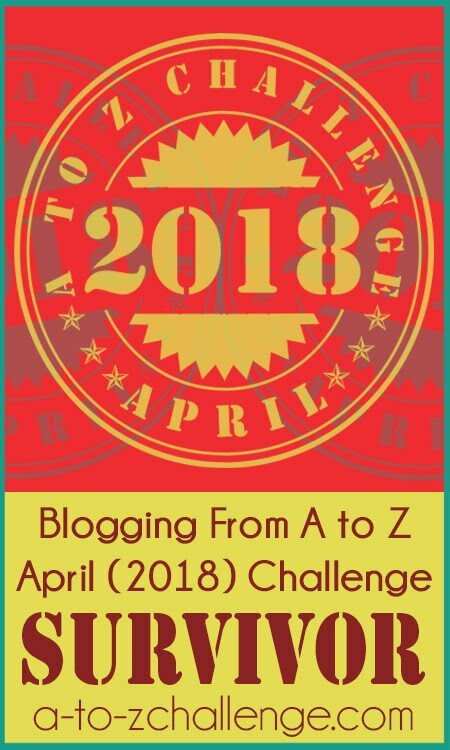 So, I welcome you all to bear with me for the next week or so because things will be hectic but that still doesn't meant that I have forgotten about my A to Z Challenge peeps! You can check out the latest and greatest in news, missions, multimedia, apps, and other ways to connect with NASA. You can even plan a visit to some of their eighteen facilities across the United States. NASA For Students: Have kids? Are you a school teacher, home schooler, or know someone who is? Then the NASA for Educators, the NASA for Students, and the NASA Kids Club and are worth a navigating and Bookmark or save in your Favorites. Each group has age appropriate links. Example, NASA is sponsoring the 2012 NASA Space Settlement Design Program for 6th through 12 graders and can join as individuals, groups, or entire classrooms. Design a space settlement! Space settlements are permanent communities in orbit, as opposed to being on the moon or other planets. Designing a space settlement involves physics, mathematics, space science, environmental science and many other disciplines. This contest is for 11-18-year-old students from anywhere in the world. Individuals or teams may enter. Grades 6-8, 9-10 and 11-12 are judged separately, except for the grand prize. Submissions must be received by March 15, 2012. Click the link for more details, contest prizes, and certificates. And check out the Current Opportunities for Kids link. NASA also hosts youth ambassadors from around the globe for successful outreach programs. NASA’s Web site is a great site for kids to research homework and for author to research their novels. What about classrooms and partnering with other classrooms around the globe? What's Next For NASA? NASA is conducting an unprecedented array of missions that will seek new knowledge and understanding of Earth, the solar system and the universe. NASA has observatories in Earth orbit and deep space, spacecraft visiting the moon and other planetary bodies, and robotic landers, rovers, and sample return missions. One example is designing and building the capabilities to send humans to explore the solar system and working toward a goal of landing humans on Mars. NASA has a payback on our hard-earned tax dollars, providing great paying jobs, supporting entire communities, and opening doors for incredible future opportunities such as planet colonization and mining asteroids (more on this in a future post). Special Challenge Participant Feature - Rick Daley and Movies! Today we welcome Rick Daley from My Daley Rant! His theme for the A to Z Challenge was movies, something we can all enjoy. He was willing to answer a few questions about films, remakes, and bad adaptations. Your theme was movies – which I thought rocked – what made you decide to post about films? Short answer: I thought it would be easy. Long answer: I wanted to participate in the A-Z challenge because my blog is more neglected than a fact at a political rally. Posting every day for a month seemed like a great way to force myself into action…I am a world-class procrastinator (MOTTO: Never put off until tomorrow what you can put off until the day after tomorrow). It was an eclectic mix, so I have to ask – what’s your favorite genre? That’s tough. I think I’ll have to go with Comedy. My favorite movie is Monty Python and the Holy Grail, so if that’s my favorite movie, it must be in my favorite genre, right? Besides, laughter is always good. Except maybe at a funeral. But then again, *Death at a Funeral is a damn funny movie. I don’t know if there is a genre I don’t like. I love horror movies, too. And superhero movies, martial arts movies, action / suspense / thrillers, some dramas, even some RomComs have merit. *Even though I have some choice words about remakes in general in response to the next question, the re-make of Death at a Funeral with Chris Rock is 100% hilarious. Talk to us about your R post, Robocop and Ridiculous Remakes. Then you have movies like Prometheus, which was tied to Alien, one of the best horror / sci-fi / thrillers of all time, but tied to it in a new way, that supposedly stood on its own. I was really excited to see Prometheus, and it ended up as the biggest letdown of my film-watching life. Here we have a fantastic tale of wasted potential: a movie with an excellent premise but stocked with characters so dumb you could create a satire like Airplane! without changing a single line in the script. It was lazy writing. The characters had no purpose being together in that story. Formulae was pinched from other properties, but the recycling didn’t work in Prometheus…In LOST, a group of disparate characters waking up and meeting each other for the first time worked because they were on a crashed commercial flight, but that made no sense on a trillion-dollar corporate investment to meet God. In Alien, a roughneck captain leading a crew in deep space worked because the ship was essentially a tractor-trailer; but that made no sense on a trillion-dollar corporate investment to meet God. You talked about Mel Brooks’ Young Frankenstein and Quentin Tarantino. Any other favorite directors? The Warchowskis did a fantastic job with The Matrix (I’m not a big fan of the 2nd and 3rd in the trilogy, but the original is a modern classic, truly groundbreaking). Peter Jackson nailed it with LOTR, but I am very disappointed to hear he is breaking The Hobbit into three movies. I think he is giving himself too much license and I worry he will stray too far from the primary story. LOTR succeeded as three movies, but it was also three books. Steven Spielberg is a director who has made countless exceptional films over the years, demonstrating success in multiple genres. Scorsese has, too. And speaking as a kid who saw Star Wars at a drive-in when I was six, George Lucas played a large role in my childhood. Finally, while we’re talking about directors, I must lament the passing of Tony Scott, who directed my T-movie and one of my all-time favorite films, True Romance. You also mentioned books to movies. What are some of the worst adaptations? The Sum of All Fears tops my list of bad adaptations…Harrison Ford declined the role of Jack Ryan in this film, and the studio fixed that problem by making the character of Jack Ryan a junior analyst instead of the senior agent who had Hunted for Red October, played the Patriot Games, survived the Clear and Present Danger, and rescued the Cardinal from the Kremlin. (NOTE: The lattermost title never made it to film, but the story has a huge role in the plausibility of Ryan’s actions in The Sum of All Fears). By casting a young actor (Ben Afflek), the writers removed Ryan’s experience and zapped the film of the realism that makes Clancy’s books so damn good. The result is a brainless romp with a cheesy ending. Do you consider yourself a real movie geek? Have you ever done an all-day, extended-version marathon of Lord of the Rings? Not yet. I don’t have the extended editions of The Two Towers or Return of the King, so an extended-edition marathon is out of the picture (yeah, there’s a pun, take it or leave it). The real challenge is getting permission from my family to let me just sit on the couch for ten hours watching LOTR at volumes that shake the very foundation of my home, which I would gladly do if only they would let me. If you do the Challenge again next year, what theme would you consider? I’m also a musician, so next year I may go after bands and songs, another area where I have very eclectic taste. Thanks, Rick! Music would be an awesome theme for next year. Today's guest is two time A to Z veteran Tim Brannan. The podium is yours Tim. My name is Tim Brannan and I blog over at The Other Side. My blog is primarily a gaming blog; I write about Role-Playing Games, the original kind, with paper, pencils and dice. I tend to focus primarily on games I have been involved with over the last 30+ years of playing, running and eventually, writing them. So my blog, originally, began as a means of me improving on and showing off my game writing. My particular interests though lie in horror games. I worked on the Buffy the Vampire Slayer RPG and I wrote Ghosts of Albion. So I wanted to expand out in to horror as well. 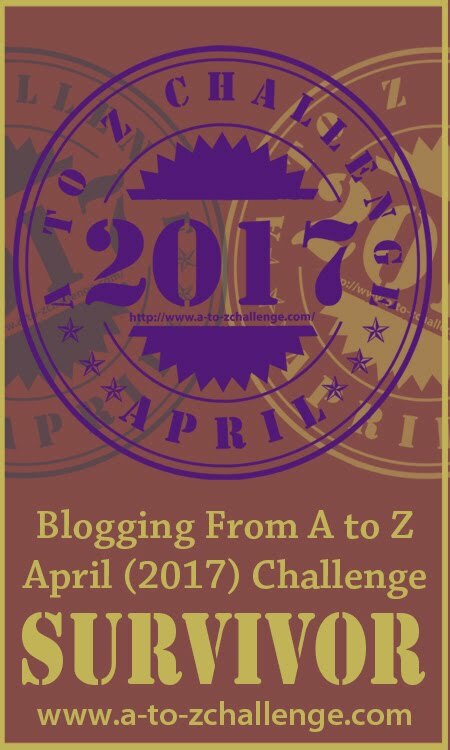 I came to the A to Z blogging challenge back in 2011. I figure I was blogging everyday anyway, so the challenge for me was finding something to say that began with that day’s letter. I checked over my regular schedule and I noticed that the letters corresponded well with my regular posts. I remember that Z fell on a Saturday that year and I post about the comic character Zatanna on Saturdays. That clinched it for me! Last year I went REALLY overboard and all my posts on the Other Side had to fit my theme of reviewing a new RPG. So I reviewed 26 games, in alphabetical order. Because I am also a glutton for punishment, I participated over at my Atheism blog, The Freedom of Nonbelief, about the A to Z of Atheism. For 2013, I am thinking of adding a couple of blogs to the challenge, these are ones I co-author with others. 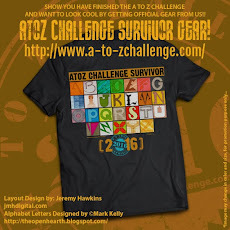 The A to Z Challenge was so much fun that I have been itching to do something like that on my own. Some sort of blogging challenge that would play to my interests and maybe even give my little blog some attention. 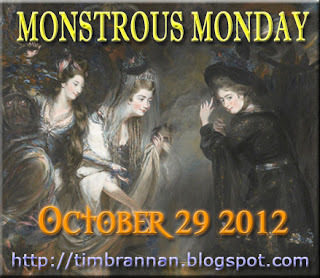 We I finally came up with something in the form of MONSTROUS MONDAY. There are five Mondays in October this year and I thought it would be great if I posted a monster every Monday. These would be game stats, something you could use in a game. But then I got to thinking, my audience is more than just gamers. I decided to expand it to include any type of monster discussion. I know a lot of authors too, so they can talk about the monster from their new book. Movie bloggers can join and talk about their favorite movie monster; I could go on for pages (and have) about Dracula for example. What I would love is to get a variety of blogs to participate. Blogging is great, but we all tend to stay in our own circles. Not that we all necessarily all agree with each other all the time, but there is a tendency for us all to talk about the same things. A bloghop or a blogfest is a great way to expand your circles a bit, to see what other bloggers are doing, what sort of things excite them and so on. I enjoy stepping outside the gaming circles because I get different perspectives. I can talk about something like vampires or witches and get totally different responses from gamers, horror authors and horror movie fans. I find that feedback essential to my growth as a blogger and as a game writer. And if I can also get some people interested in this hobby of mine, then all the better! So let’s see your monsters! The ones you love, the ones you hate and the ones that still send you hiding under the covers or behind the sofa! Thanks Tim! I've signed up on Tossing It Out. This is a great way to celebrate Halloween and I've always had a soft spot in my heart for monsters. How about you? Do you like monsters? Would you like to join us on Monday October 29th for this blog event? Today's A to Z Challenge blogging prompts are all about gaming. N is for Nintendo and I picked this particular gaming console because it was the first (...I think) video game system that I played during my childhood years. I also selected it as today's topic because video games deserve some A to Z attention -- they are just as enjoyable as books, music, movies or any other activity that we use to pass the time. So, here are some ways to incorporate Nintendo into your blog posts for Letter N during the A to Z Challenge in April. Build your own nation of Nintendo Ninjas by blogging about tips and tricks on how to beat the levels on a particular Nintendo game that you are good at. You could also teach people shortcuts for certain actions or even show them repair tips on how to keep an old or sorta broken Nintendo game in working condition for as long as they can before having to buy a new console. These blogging options can be used for just about any device in the Nintendo family, including Nintendo DS and the Wii. List some little known, funny or outrageous facts about the history of Nintendo and/or its fans and their behavior over the years. Make the gaming console a theme for your entire string of 26 posts and write a novelette, making each letter in the alphabet a different chapter of a story -- a heroic story about a suicidal Nintendo fanatic or a fantasy young adult fare about two teenage co-workers at a Nintendo store or a mysterious story that takes place at a Nintendo convention...there are numerous possibilities for a story surrounding Nintendo gaming. So there you have it! -- Nintendo remixed for your Blogging from A to Z Challenging pleasure! Caitlin correctly unscrambled all five movie character names that start with Letter N, so she now succeeds Marta Szemik for the title of ALPHABET WIZARD. Caitlin's prize package also includes the choice of the letter for the next Alphabet Soup game and the option to select a topic for a future Monday Movie Meme on my blog. Congratulations to Caitlin! Here are the answers to the Naming Names themed Alphabet Soup game. Authors help authors-- that's the way it works amongst writers and bloggers. In that spirit, here's my second post in the series of books by indie-author friends (first post here): some are books I came across, others have been recommended for mention. I'm adding only one link, but you can click through to the author sites for more options and also more books they've written. I've added a bit about each book, so if you see what you like, go buy it! Want to smile? Want to giggle? Are you ready to return to your childhood? 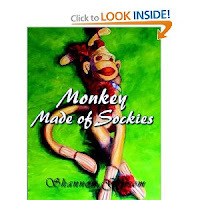 All you have to do is pick up a copy of Monkey Made of Sockies. As soon as you see the smile on the monkey’s face, you’ll gain a smile of your own. Each turn of the page describes why Monkey Made of Sockies is the favored toy at Grammy’s house. The vibrant illustrations and lyrical text make reading his book a truly enjoyable experience. Living in the shadow of abuse is a dark and frightening experience that limits every area of life. 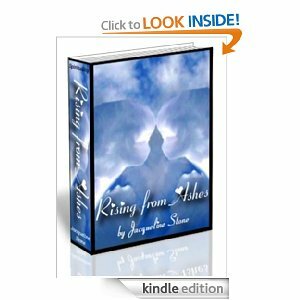 This book is an invitation to come out of the shadows and into the light of Love, to heal your heart and learn to love yourself. It empowers the reader with tools for self-awareness and healing processes to become a joyful co-creator. If you're ready to heal your heart and finally know what it is to be happy, get this book. 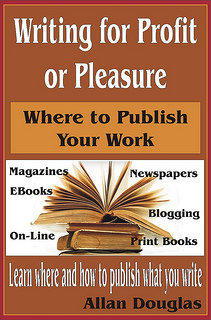 Writing for Profit or Pleasure; Where to Publish Your Work, is 146 pages (paperback version), 30,000 words of concise, insightful information about where and how a writer can achieve publication of their writings. Whether you write for income or for the joy of it, whether you aspire to write on-line or for print, this book has a wealth of information to help you find and secure publication. Joe Bunting: Let's Write a Short Story! 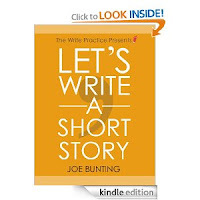 An eBook about the process of writing and publishing short stories. The book will guide you through the process of researching publications, writing your story, editing, and submitting your work to literary magazines. It's also a primer in how to make a career in fiction writing. If you've ever wanted to be a writer, this book will help get you started. D.G. Hudson joined the A to Z Challenge in 2012 with her wonderful posts about Paris from A to Z. 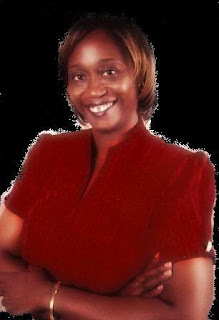 She caught my attention recently when she did a post that linked back to my memoir blog Wrote By Rote. I asked her to share something with the readers of my blog and she happily consented. I thought I'd share this post on the A to Z Blog for those of you who missed it on my memoir blog. Be sure to check out Wrote By Rote--this blog publishes each Saturday. And don't forget to stop by D.G. Hudson--21st Century Women and say hello and take a look at what she does. Thanks, Lee and Tina for allowing me to write about an aspect of documenting one's family history that may not occur to many parents. I'm referring to a child's right to say yea or nay about his 'stuff', some of which may become his own future collectibles. Does your child have a collection which he treasures? Regardless of how age inappropriate it may seem, don't give away those items without his permission. Let the owner of that object decide its fate, perhaps after beginning elementary school. The concept of ownership has to be understood. A child's collectibles can be driftwood, badges, favourite books, games, train sets or a special comfort toy. Doll collections, action figures, signed toys, a favourite teddy bear, all are reminders of our past. On the serious side are collections of coins, stamps, sports cards, or sports paraphanalia. If an item has heritage significance to the child, such as a gift from a doting relative, ensure the child is aware of the value and background. Some early collections may turn into a main interest in a person's adult life or perhaps influence a career choice. Don't stifle that urge to hold onto a moment, nurture it. Have a keep and a recycle box, just like in Toy Story, and let your kids decide what is to be given away. Don't get the boxes mixed up, and never keep collectibles in a garbage bag. It might end up at the curb (just like in the movie). Always keep collections clearly marked in boxes or bins, protected from dust and damage. Kids may become more involved in the winnowing process, if they are going to be selling the toys that are no longer wanted. Recycling toys at a kids' swap meet with your child is a great way to teach several lessons at once. Packaging the items that are small in ziplock bags keeps them clean, and teaches little ones how to display the items, determining prices for the objects teaches value, handling small sales (with supervision) for the younger ones, and helping sort money promotes a basic understanding of our money system. Don't forget to have a 'float' of small bills and change and be prepared to bargain (older kids can do this). The trick at swap meets is to let the kids keep the money they make or agree to share the profits. This post originated with the idea that a child should have the right to decide what's important in their 'stuff' and not have it given away as if it's communal property. I've heard my hub's sad tale of loss of a collectible electric train set and hardcover comic books which he had slowly acquired. He was never asked, when these items were given to children of his parents' friends. His regret at losing the early collections spurred him to start anew. Think of your own childhood toys or items like chairs, cradles, wagons? Do you still have any of them? Have you ever been to a kids swap meet or had your own toy yard sale? What did you collect as a child? Do you collect anything now? Please share your thoughts in the comments. Tips on saving and sorting those boxes of memories, and a 'Memory Quilt' overview, a free-style version. Keeping family records and stories alive, collecting that information, and protecting your history for your descendants. You've undoubtedly been seeing a lot of this lovely lady around the blogs and now this A to Z alumnus is here on our blog. You've still got a chance to enter her contest and obtain a free book download. And now I present to you J.L. Campbell. 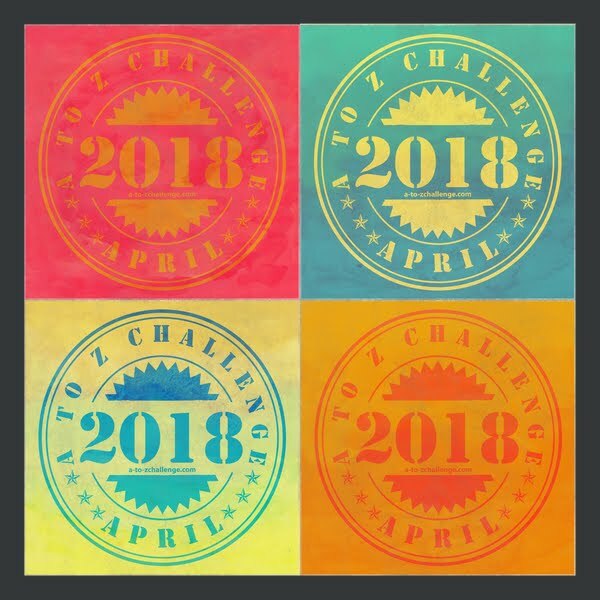 I’ve done the A-Z Challenge now for two years and both times, I felt like the Little Engine That Could, “I think I can, I think I can…” Each time, the Challenge helped me do more than I thought I could in 26 days. By extension, some of the blog hops and challenges we participate in as a community help us organize and structure our work. For example, some pieces of flash fiction I’ve written for the Romantic Friday Writers will eventually go into a novel. Distraction started life as my 2008 National Novel Writing Month project. The story is one of those that came as a gift and didn’t take long to complete. In Distraction, Dionne, Kyra and Justine face a range of problems, however, with each other’s support they get though some difficult times. I believe the organizers of the A-Z Challenge have come up with something that resembles the relationship these women share. The team hasn’t stopped at a post-event write up, but continued this blog; a home base and support system for those who participated and a hub to encourage new people to check out the A-Z. I see this effort as a touchstone for what can be achieved when we are disciplined, determined and resilient. 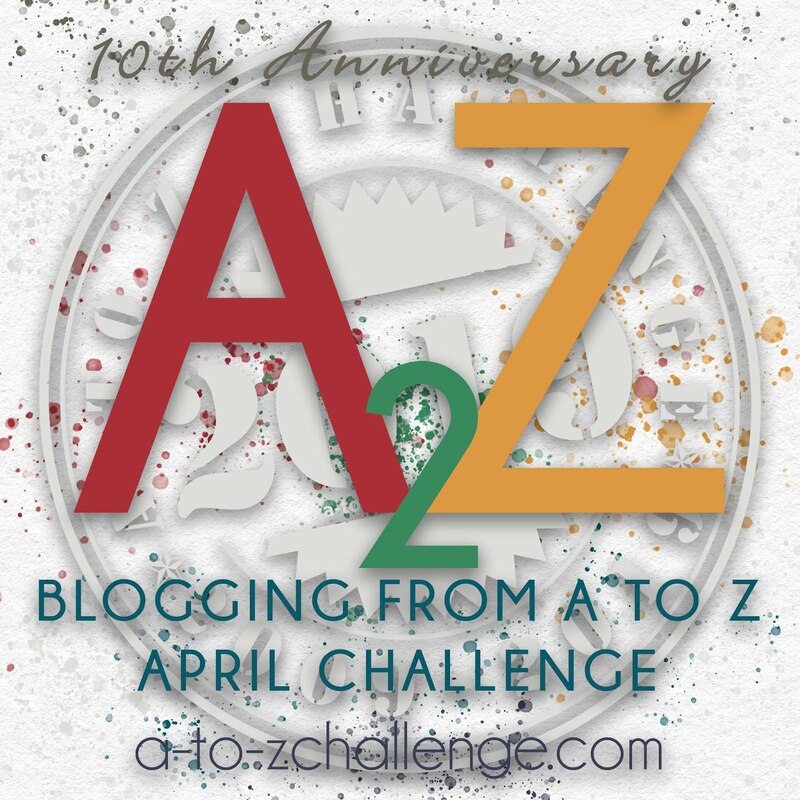 Plus, the A-Z Challenge has been a great way to nurture new friendships. My vision of friendship is encompassed in Distraction and I’d like to share that with you, along with some things Jamaican. 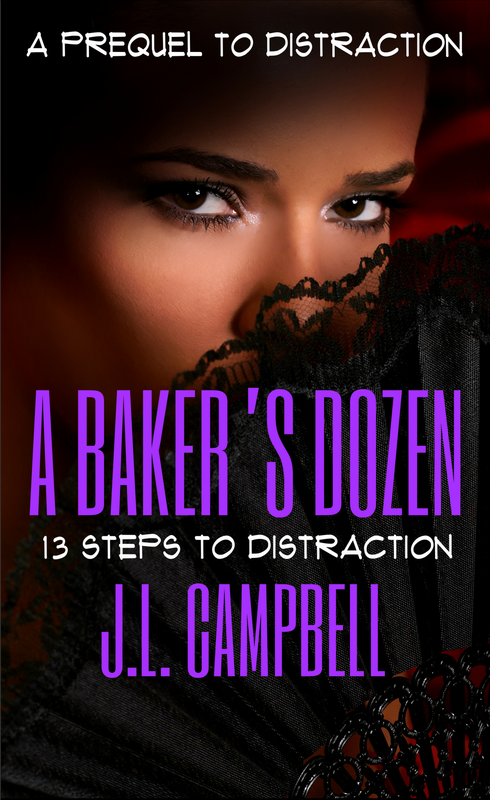 In A Baker’s Dozen: Thirteen Steps to Distraction, you’ll see Dionne, Kyra and Justine where they were a year before the start of Distraction. The book is a free download during the run of the tour. 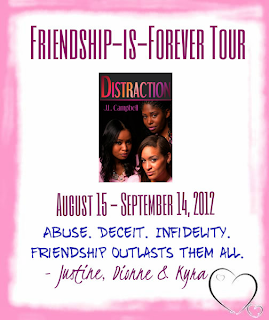 Leave a comment here and you’ll be entered to win an e-copy of Distraction. 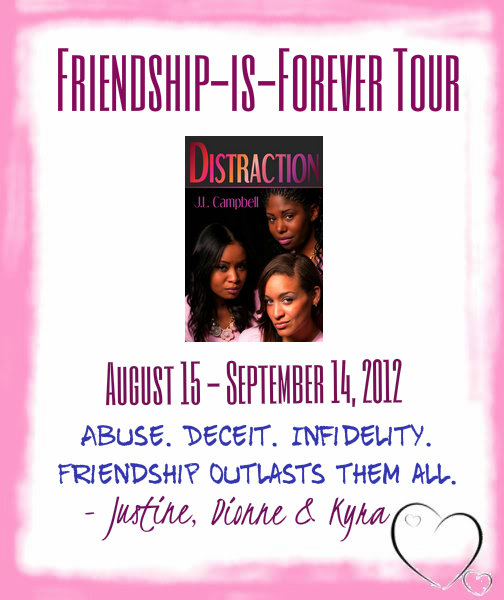 At the end of the Friendship-is-Forever tour, I’ll be giving away a main prize of a Distraction note pad & pen and a $10 Amazon gift card. The second prize is a paperback copy of Distraction. Enter on the Rafflecopter here. Thanks to the A-Z Challenge Team for having me. You guys rock! That means that Lynn Proctor is our lucky winner! Please email me at tndowney (at) gmail (dot) com and let me know what format you’d like your book in, as well as contact info. Thanks to all who hung out with J.C again. We appreciate you! Have a Fantastically Fun Friday Everybody!